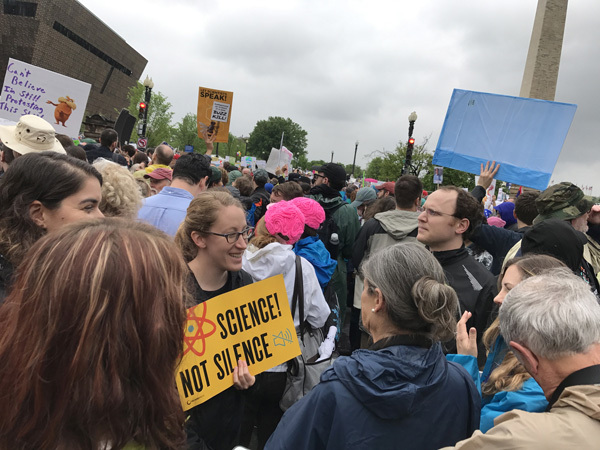 On April 22, scientists, science lovers, and others united in marches around the world in the name of science. 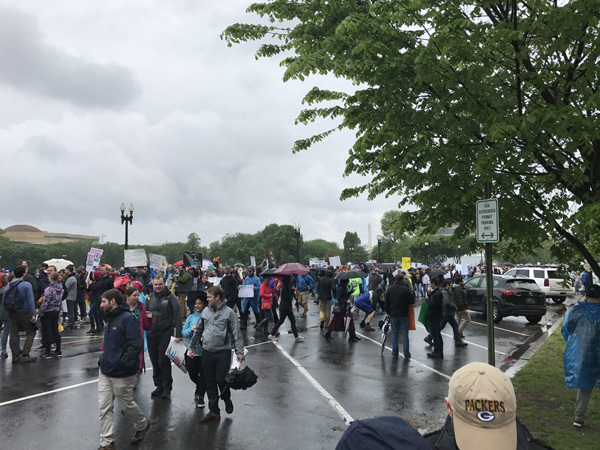 The largest of the over 600 marches occurred in Washington, DC. 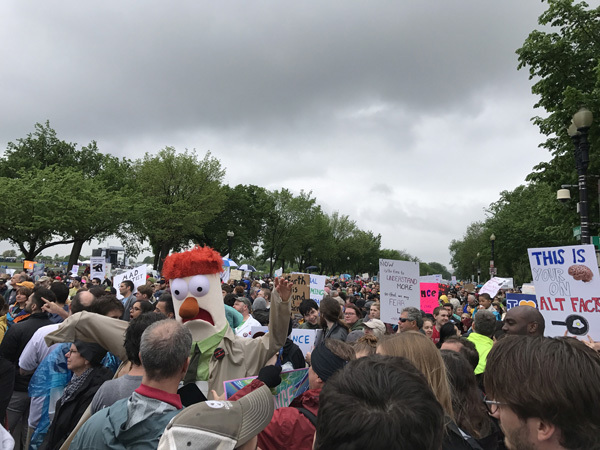 This demonstration was particularly important given a political climate which glorifies "alternative facts," and which many fear will lead to scientific data being censored, dismissed, or even destroyed for contradicting political or business interests. 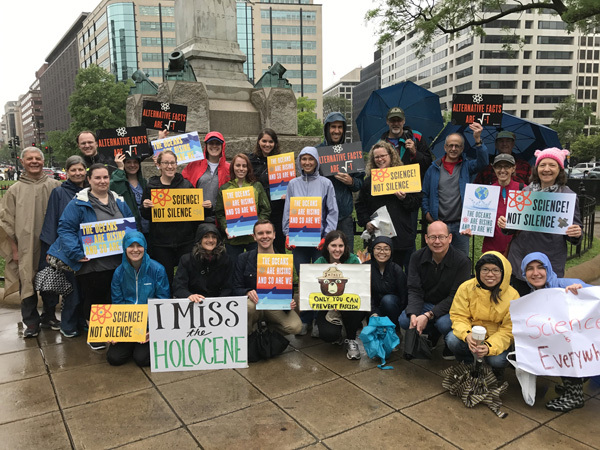 To show our support for truth, a few Island Press (IP) staff members and authors made their way to D.C. and took to the streets for the March for Science. 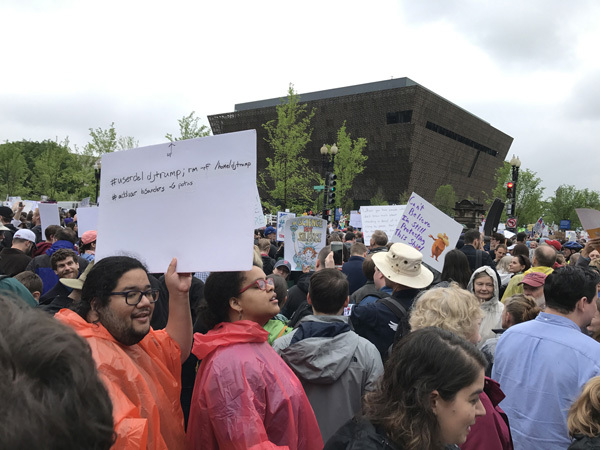 Here is what some authors had to say, along with photos of the event that IP staffer Maureen Gately captured. 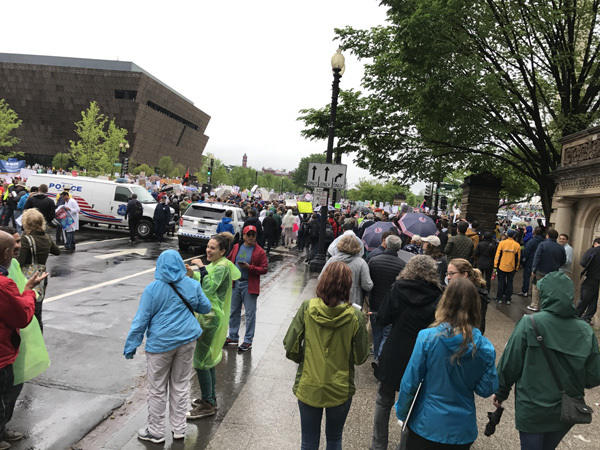 "Despite only covering a few blocks, the March was surprisingly exhausting. 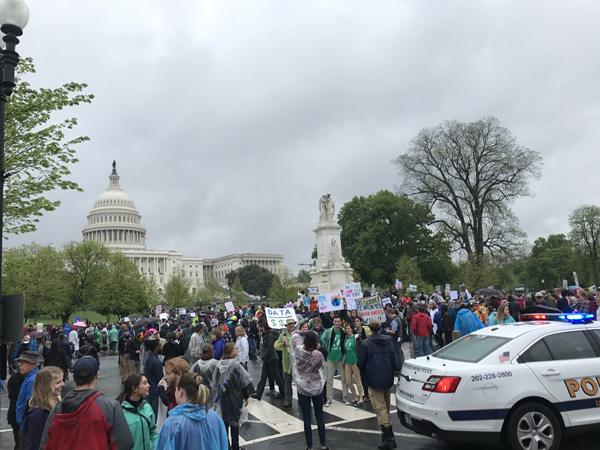 When we finally careened to a halt in a parking lot in front of the capital, my jeans were soaked, my throat was hoarse, my cell phone was about dead. 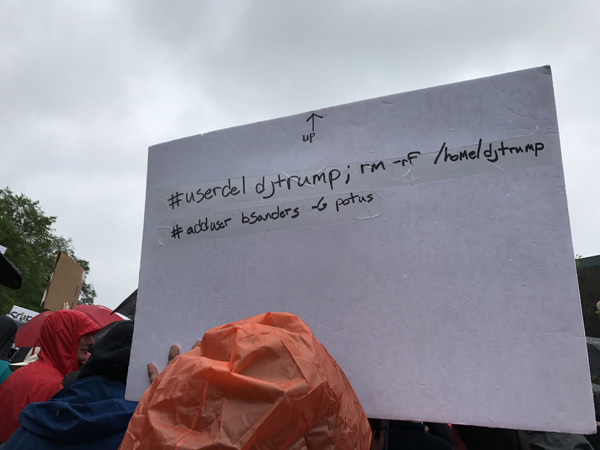 I didn't bring my own sign, but a little girl lent me hers, dripping green magic marker. 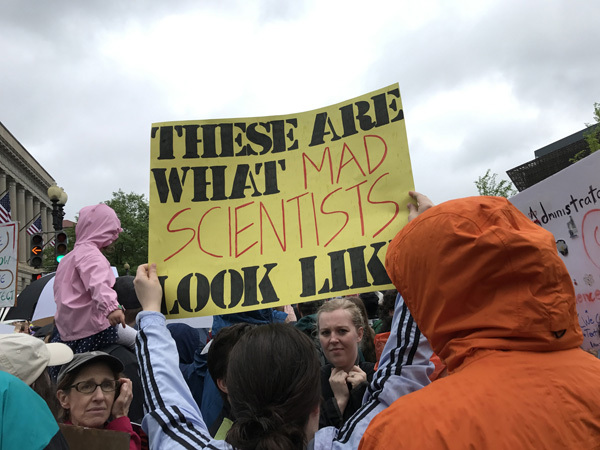 Good thing Maureen Gately brought a goofy umbrella that was easy to spot. 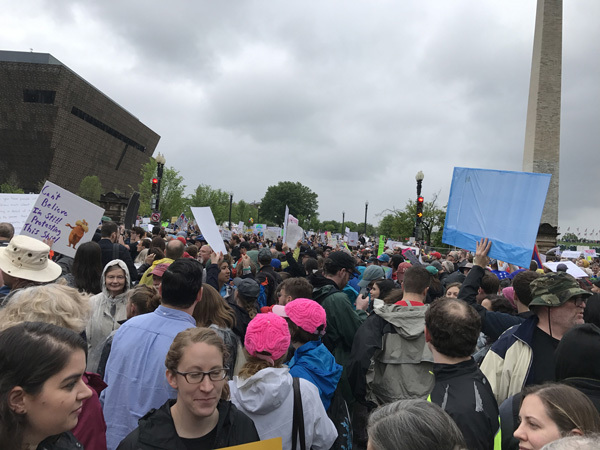 We tumbled into Union Pub and I seem to remember that everyone who was there including me somehow agreed it was the best grilled cheese we'd ever had"
Do you have any reflections on the March for Science? 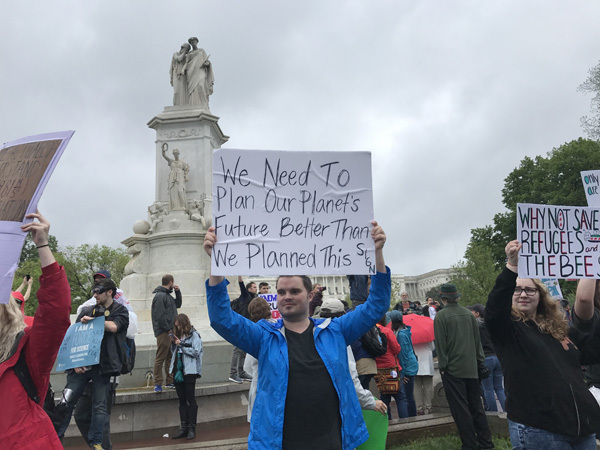 If so, share them in the comments below.